A new and timely thriller from the legendary Frederick Forsyth, "truly the world's reigning master of suspense" (Los Angeles Times). 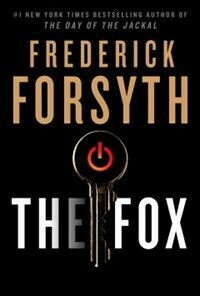 The Fox is a riveting thriller that begins with separate disasters striking the Pentagon, the NSA, and the CIA. A massive cybercrime has been committed and firewalls thought to be impenetrable have been breached. All indications point to a team of cyber-experts in the employ of an American enemy--but who? And why, precisely? But then a twist: the perpetrator appears to be located in England. British authorities close in only to find...a modest home in a London suburb. The culprit, it turns out, is an English teenager with no agenda, just a blisteringly brilliant mind. Extradition seems likely--until the former Chief of the Secret Intelligence Service has another idea: If he can do this to us, he can do it to our enemies. So begins a propulsive suspense novel centered on the West's newest and most unpredictable weapon.